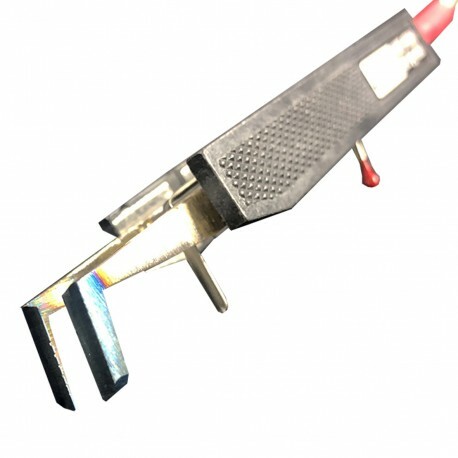 HOTweezers Thermal Wire Strippers Model 4A for 32 - 26 AWG (0.15 mm to 0.61 mm) wire. 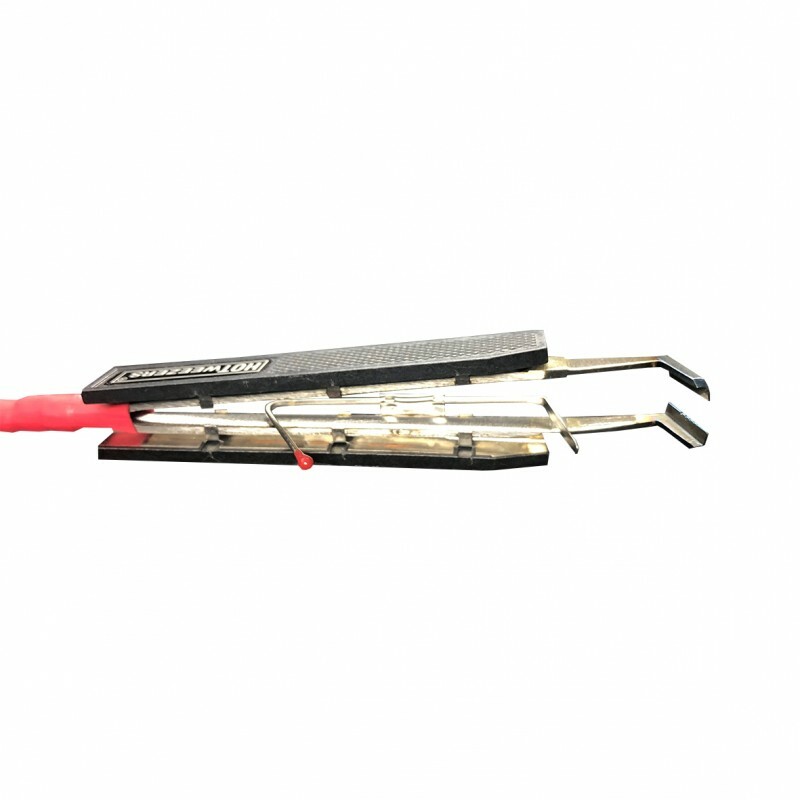 HOTweezers Thermal Wire Strippers Model 4A for 26 - 32 AWG (0.15 mm to 0.61 mm) wire. These thermal wire strippers are manufactured by Meisei Coprporation and fit easily within the operators hand as they are shaped like a pair of cut-off tweezers, which weigh only 57g (just under two ounces). 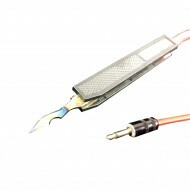 The most unique feature about Hotweezers wire strippers is the fact that the heater filaments are completely sealed within the stripping head, meaning a greater portion of the heat generated is retained to do useful work. Another benefit of the heat being targetted closely to the work at hand is that the power supply can be much smaller, as the power consumption of the wire strippers is vastly reduced. 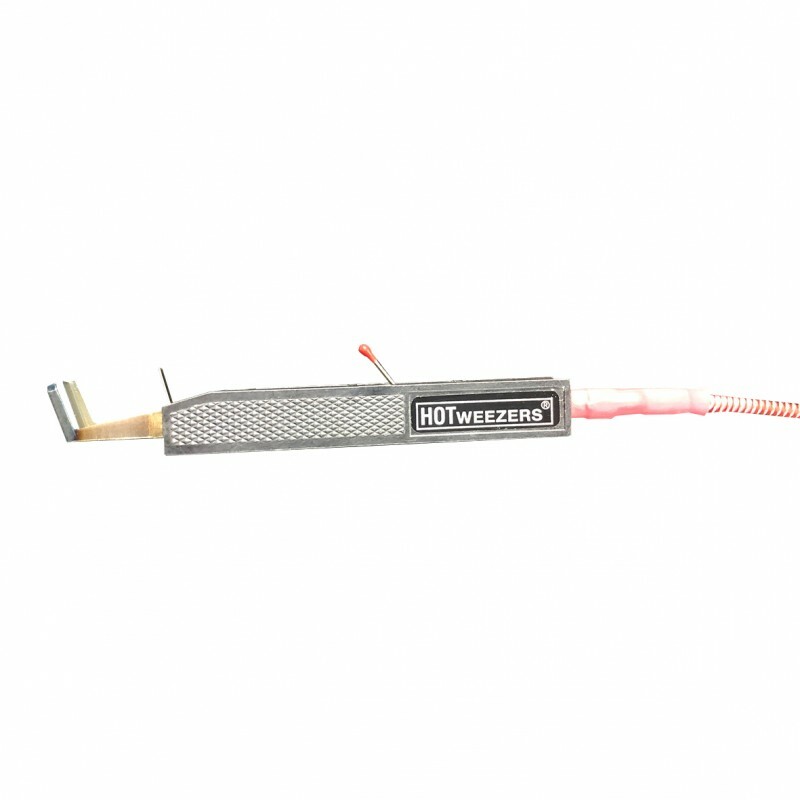 We recommend you use HOTweezers with the M-10 power supply. See HE-410MA. 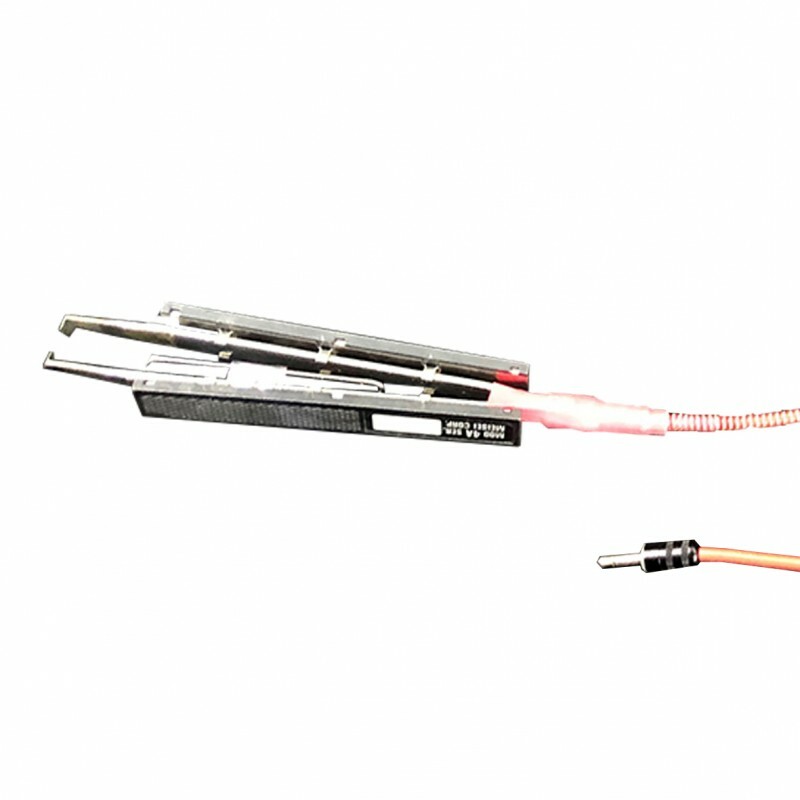 The stripper head is produced from high-strength, high temperature alloy with very good oxidation and wear properties. 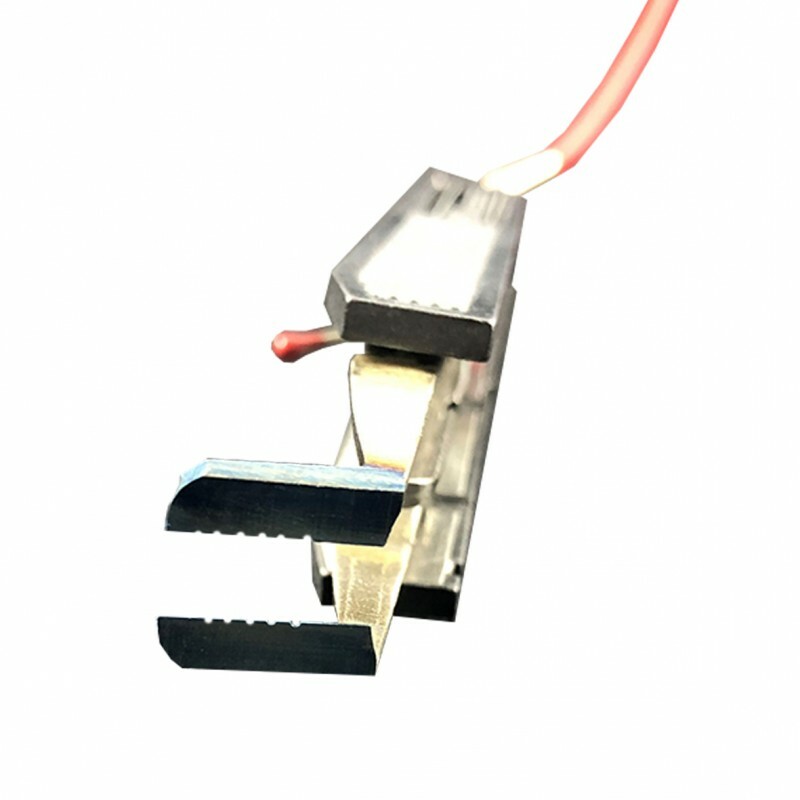 The strength of the metal used to create this head, as well as the extreme targetting of the heat produced means that the stripping head will not distort nor lose alignment, which is often the case with ordinary hot wire strippers. 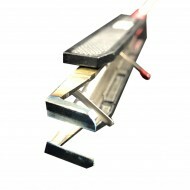 This product is CE marked, meaning it is safe to use in the European Economic Area. 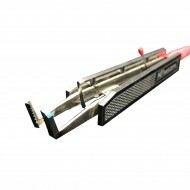 Unfortunately we do not offer spare handles/grips.